Woe to those who make unjust laws, to those who issue, oppressive decrees, to deprive the poor of their rights and withhold justice from the oppressed of my people, making widows their prey and robbing the fatherless. what will you do on the day of reckoning, when disaster comes from afar? To whom will you run for help? Where will you leave your riches? Nothing will remain but to cringe among the captives or fall among the slain. Yet for all this, his anger is not turned away, his hand is still upraised. Hey everyone! So it’s almost that time of the year again. The end of the school year. It’s a relief that it’s about to end, but bittersweet in away. Mostly because this is my last year of high school and the fact that I really didn’t much during my four years of high school. I know that many of you will think that it’s weird for me to say that, but it’s the truth. I know I should be happy and everything, but a part of me feels kindof sad to be leaving. I have many wonderful memories that I know I’ll remember for the rest of my life, and I’vwe made many friends that I’ll miss. (most of them are underclassmen). But, I know that everything will be ok. I start college in August with a couple of friends and I know that’ll be fun. I’ll keep ya’ll post on more senior stuff and I’ll possible do a series on college life. Later! what is your favorite movie??? 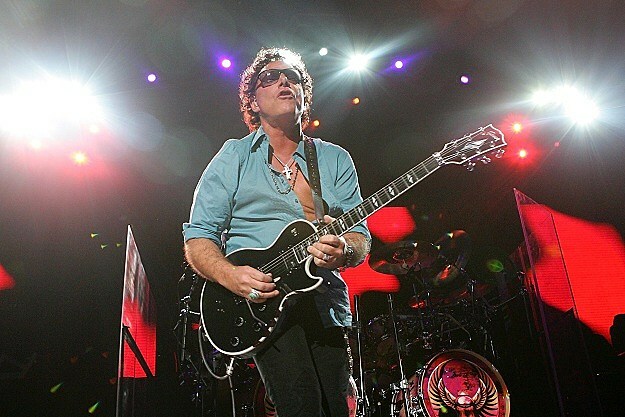 The celebrity gossip website TheDirty.com has removed a naked picture of Neal Schon after receiving a cease-and-desist letter from the Journey guitarist’s attorney. The self-shot picture depicts Schon standing in front of a bathroom mirror with his shirt pulled up and naked from the chest down. TheDirty.com claimed that Schon sent the offending picture to a woman on Facebook and that the woman’s husband got the picture from her Facebook account and distributed it, The Huffington Post reports. Schon later reportedly deleted his account after his girlfriend, Michaele Salahi, found out about the picture and became upset with him. That’s why they are called private parts, isn’t it? Apparently the threat was enough to scare TheDirty.com into taking the pic down. The rep also insists the photo scandal has not damaged Schon’s relationship with his girlfriend. ”Neal and Michaele are doing great and are very much in love,” the rep says. Please go to the link above and read the article and tell me what you think about this. CAIRO (AP) — Egypt’s antiquities authority closed the largest of the Giza pyramids Friday following rumors that groups would try to hold spiritual ceremonies on the site at 11:11 A.M. on Nov. 11, 2011. The closure follows a string of unconfirmed reports in local media that unidentified groups would try to hold “Jewish” or “Masonic” rites on the site to take advantage of mysterious powers coming from the pyramid on the rare date. The complex’s director, Ali al-Asfar, said Friday that an Egyptian company requested permission last month to hold an event called “hug the pyramid,” in which 120 people would join hands around the ancient burial structure. The authority declined the request a week ago, al-Asfar said, but that did not stop concerned Egyptians from starting internet campaigns to prevent the event from taking place. “It has been a big cause now on Facebook and Twitter for many people to write about,” al-Asfar said. The closure was unrelated to the rumors, he said, adding that the pyramid needed maintenance after the large number of visitors during the Muslim Eid al-Adha holiday last week. The rest of the complex, which includes two other large pyramids, numerous tombs and the Sphinx, remained open Friday, though security appeared to be heavier than usual. Dozens of police officers and soldiers were posted throughout the complex. Some patrolled on camel-back. One soldier stood next to his machine gun near a souvenir shop selling miniature pyramids. Speaking by phone from the pyramids after 11:11 had passed, al-Asfar said he’d seen nothing out of the ordinary. Khufu is credited with building the Giza complex’s largest pyramid, now one of Egypt’s main tourist attractions. Khufu founded the 4th Dynasty around 2680 B.C. and ruled Egypt for 23 years.